The process of choosing a doctor for your little one is not that easy. In making this choice, you need to keep a lot of things in mind. The equipment and surgical equipment come into prominence at this point in time. In the choice of an ENT specialist, you would need to be aware of all these points. Here you need to be aware of how to go about the process of choosing an ENT doctor. The younger ones are prone to problems of tonsils. This would include sinus infections along with a host of other problems. If you want the optimum condition of your little one, it would be better to seek the services of an ENT specialist. Before you go on to hire one there are some tips to keep in mind. In the choice of an ENT specialist, this is an area that deserves a lot of attention. Just cross check the fact whether the doctors are certified by the board or not. This is the main reason they can go on to handle all problems with the ears or the sinus. Most often than not you can avail the services of a pediatric specialist. The simple reason being that in most cases surgical procedures would not be needed at all. Normally the ENT specialist is going to treat the child as a grown-up person. It is always important for you to consider a doctor with whom you are comfortable with. They should be in a position to pay attention to your kid. In this regard reference or word of mouth could help you a lot. You could seek the inputs of some family members as their advice would be of a lot of importance at this point in time. As a matter of fact, you need to choose an ENT specialist with whom your kids are comfortable with. In case if the kid is not able to hear problem then it is suggested that some tests are conducted at the chamber of the doctor. Be aware of the fact that the ENT specialist has a good in-house audiologist. There does exist a difference between a trained audiologist and a salesperson of hearing aid. 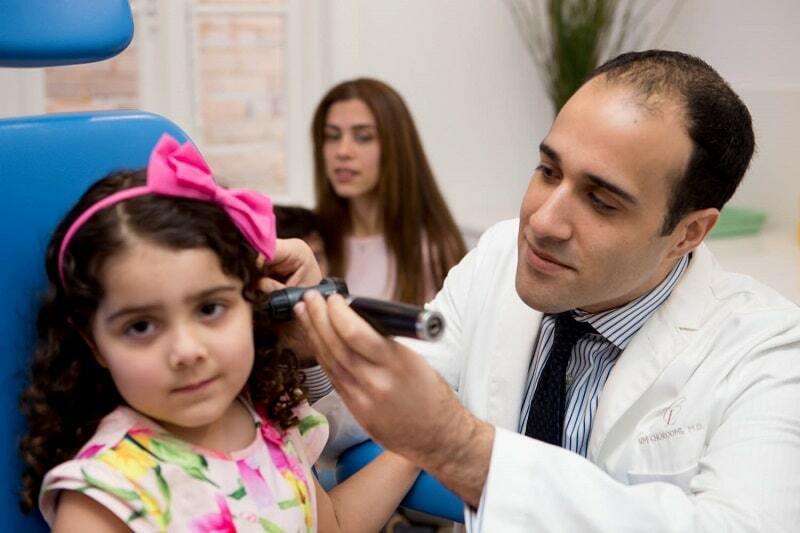 In case if you want to have an idea about the condition your child is suffering then do consult a good audiologist. Sometime the kid may have a bad allergy that might take a toll on their sinuses. For the evaluation of the sinuses, the doctor should also have the facility of CT scan. Last but not least it would be better if you go on to choose a specialist who has a flexible schedule. The staffs are friendly and there are kid-friendly rooms as well. Here you can go through the website of the doctor in order to obtain more information. If you follow all the above points you can avail the services of a professional ENT specialist. My daughter has been having some trouble with her hearing, so I’ve been considering taking her an ENT doctor. Your article had some great tips for choosing a good ENT specialist, and I liked how you said to make sure the doctor you choose is certified by the board. Thanks for the help; I’ll keep this in mind when choosing the ENT doctor best for my little girl.